What makes this fundraiser unique is that there’s no upfront investment for the animal group. The group pays the $1 charge for each pin only after the pin is sold, so there’s absolutely no risk. Groups typically sell the pins on their websites and at fundraising events. 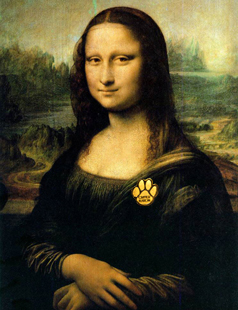 From our past experience, teaming up with pet stores to sell the pins is a sure winner. The Critter Nation has rapidly become the biggest success story in animal welfare fundraising. So join in on the profits today! 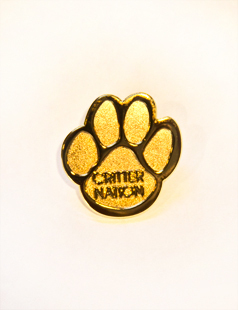 The half dollar size Critter Nation pin is made of brass with polished gold plating and butterfly attachment. Everyone who is anyone is wearing one. The eye-catching pin will let People know at a glance that you are a true animal supporter. The name and design for The Critter Nation are trademarked and can not be used without permission.